Looking for a different night out? 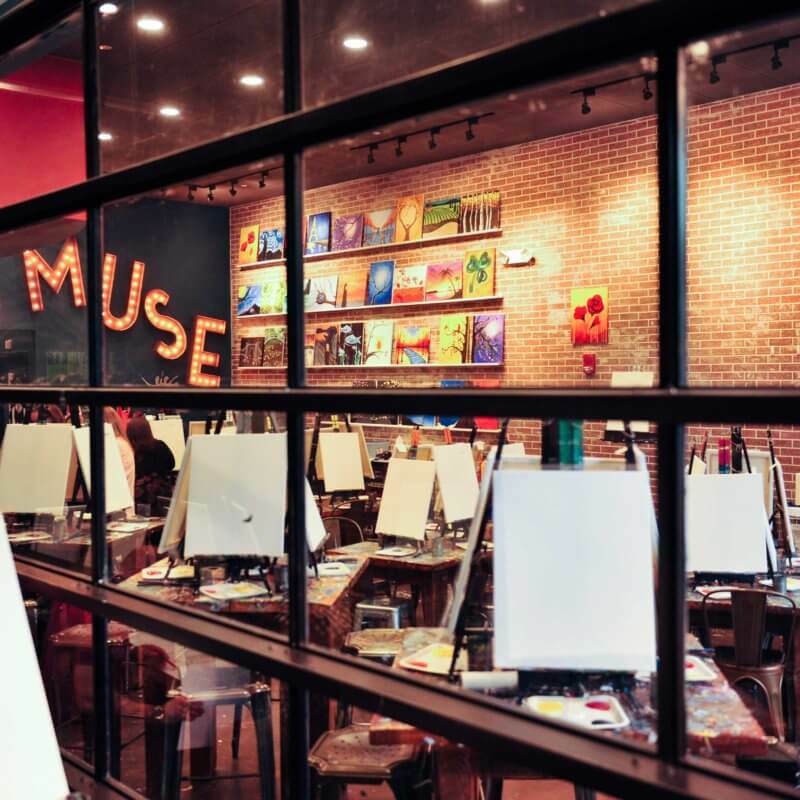 Try Muse Paintbar! A perfect girls’ night out, birthday, bachelorette party, first date, or forty-first date. Here's how Muse works: first, scroll through their online calendar and find a painting that you like on a night that works for you. Then call your friend(s), reserve your spots (online or by phone: 888-607-6873), and get excited! Next, it's time to paint! You bring your paint face and Muse will handle the rest. They’ll provide you with the paint, a 16 x 20 canvas, and an apron. They also have delicious inspiration on hand – their kitchen & bar are stocked with a great selection of eats, wine and beer. Muse invites you to arrive up to 30 mins beforehand to grab a drink and get settled. Finally - create your masterpiece! Muse's trained artists will guide you, brushstroke by brushstroke, from blank canvas to masterpiece. Relax. You needn’t an ounce of artistic skill.